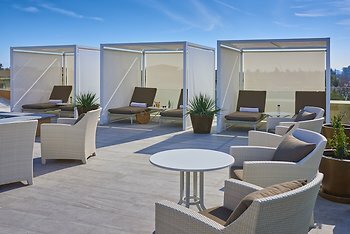 The Clement Hotel - All Inclusive, Palo Alto, United States of America - Lowest Rate Guaranteed! The entire concept of the hotel. All inclusive food and beverage. Everything was delicious. Room was gorgeous, staff was great. Just loved it! Not that I don't like it, but I think the hotel would be well advised to forgo dinner. The food was pretty good, but not at the same level as the rest of the hotel. Plus, my guess is (based upon the dining room occupancy) that guests would prefer to explore the areas restaurants, some of which are hard to compete with.